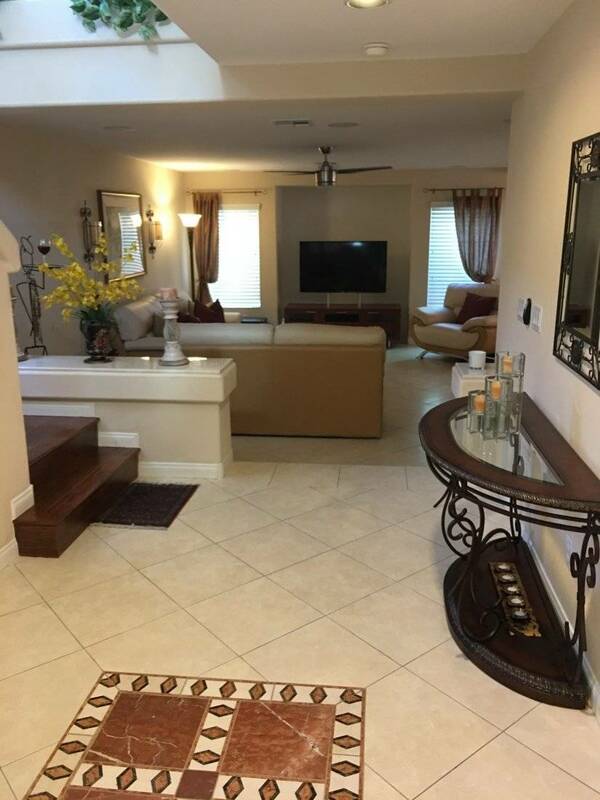 This immaculate 2 story, 3 bedroom, 2 bath in Southwest Las Vegas is perfect for corporate rental or an extended stay in Las Vegas. A variety of restaurants and shopping are only minutes away. 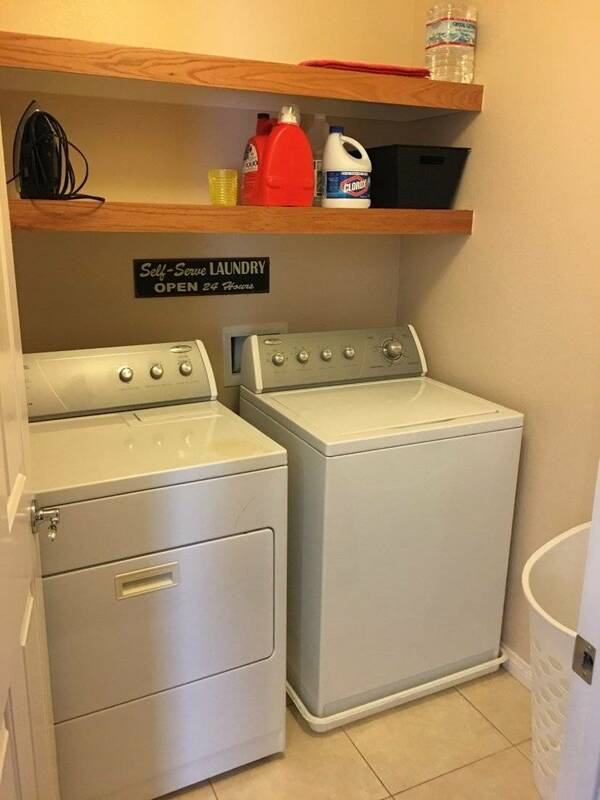 This location offers easy access of the 215 and 15 Freeways. 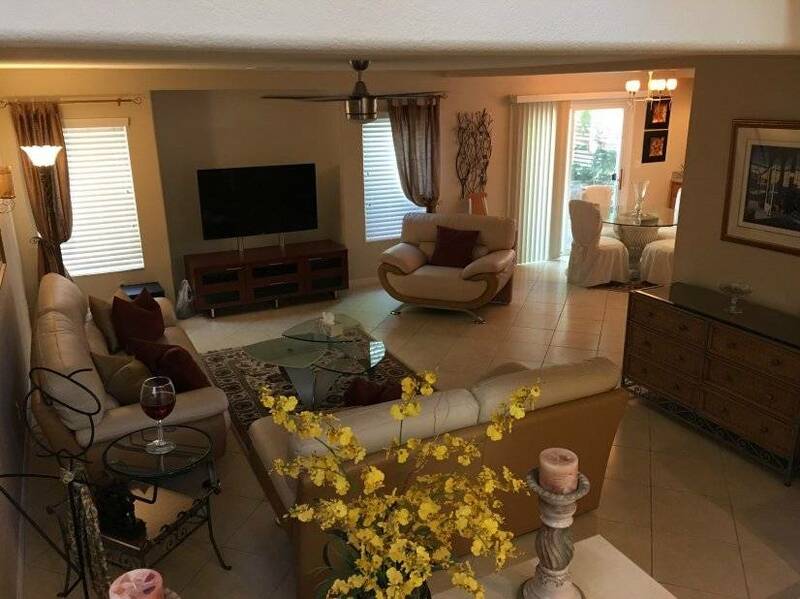 Located on a quiet street this spacious 1,855 square foot open floor plan home includes an office that can be used as a third bedroom. (full air bed included) The back yard includes seating for 8 people with a gas BBQ for grilling and enjoying the beautiful Vegas evenings. 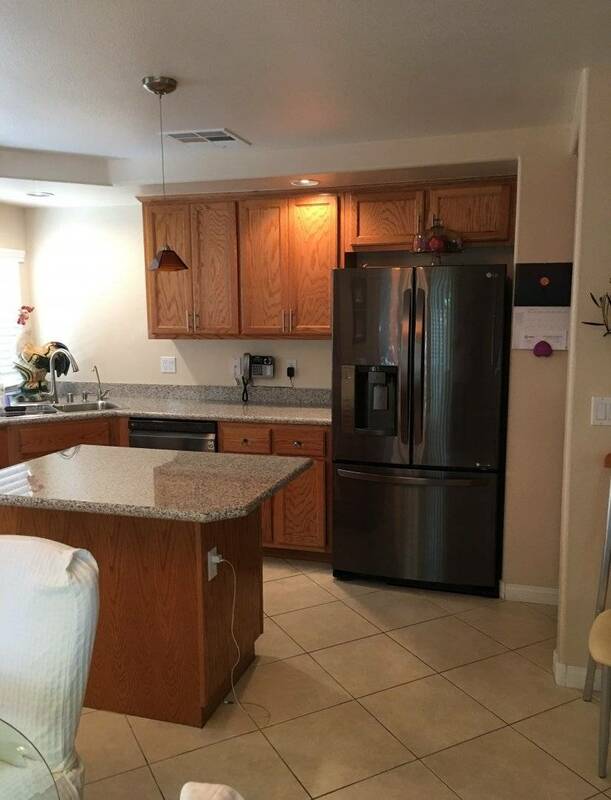 The kitchen has many upgrades including granite counter tops, new LG black stainless steel appliances and fully equipped to cook to your hearts content. Toaster, coffee pot, blender, and a multitude of pots and pans supplied. 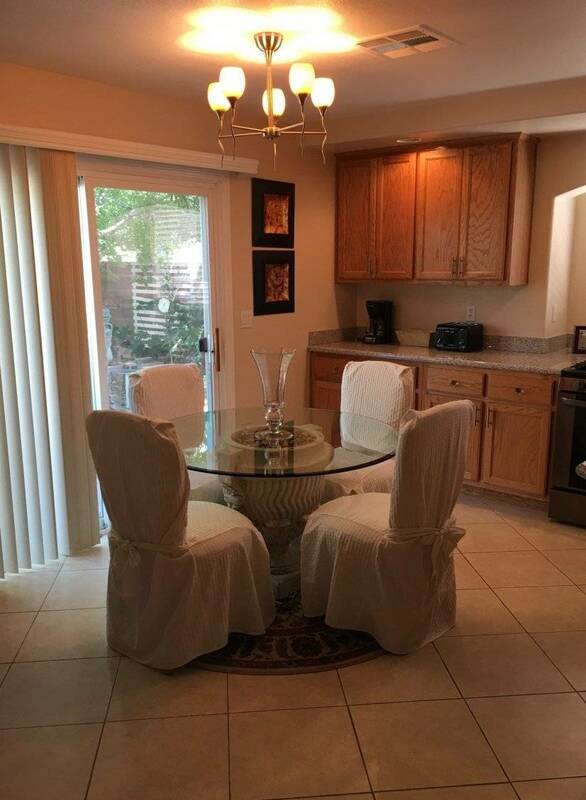 Dining area offers a very modern glass table with sitting for 4. All rooms include ceiling fans to help keep you cool during the beautiful Las Vegas summers. The main sitting room includes a 55 inch Smart TV with cable included. 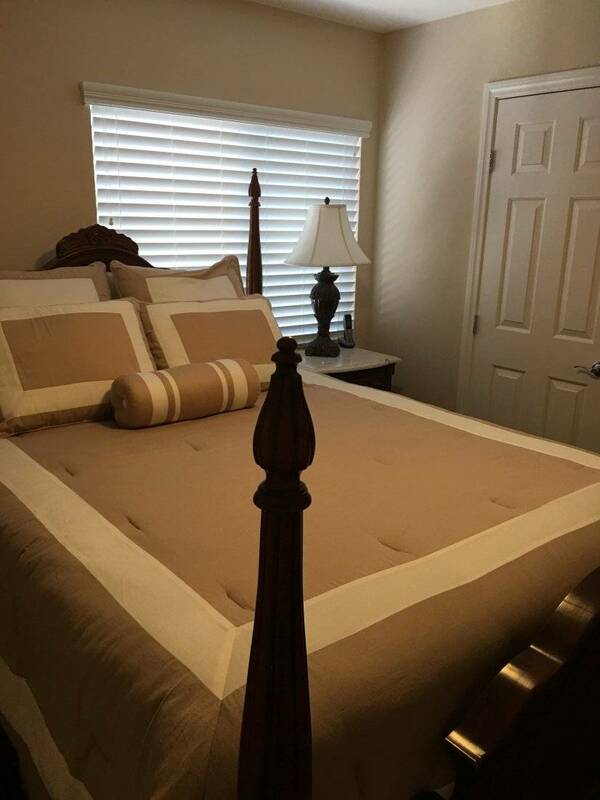 The master bedroom offers a comfortable king size bed. 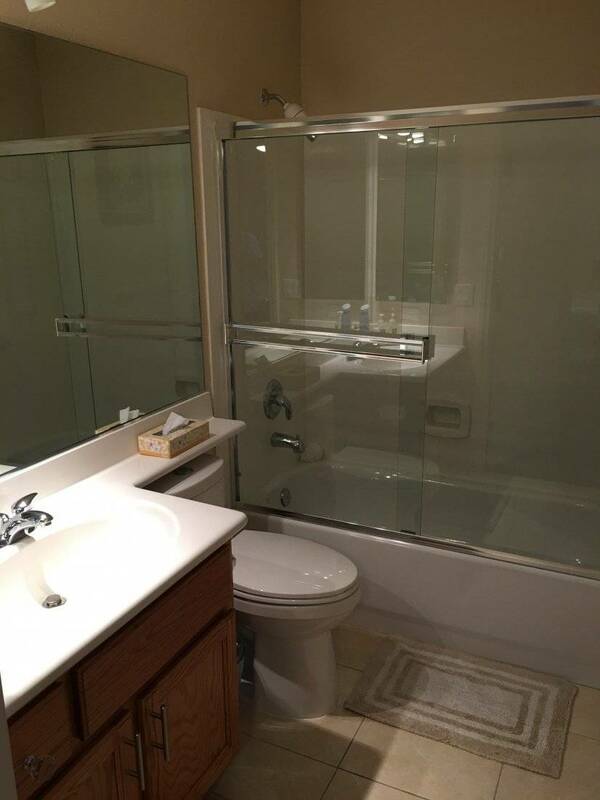 The master bath has a walk in shower and a jet soaking tub. 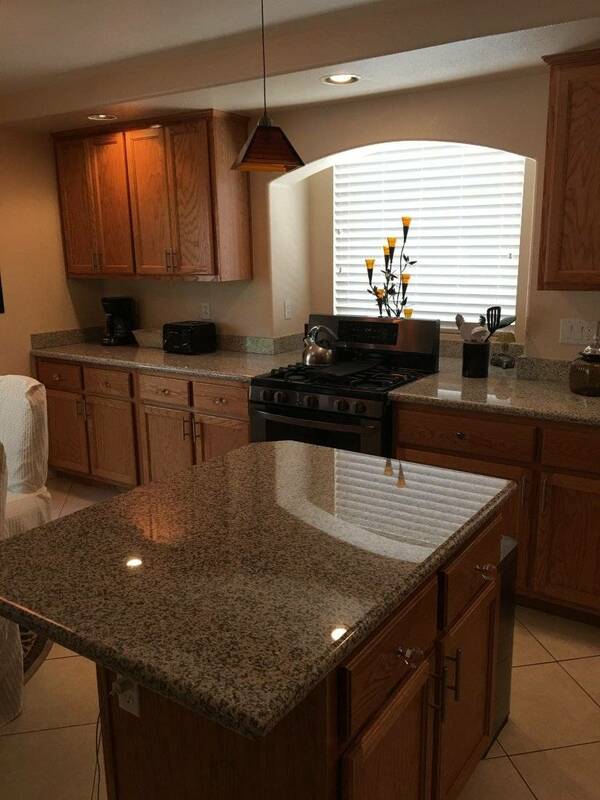 Plenty of counter space and storage with a dual sink. The master suite also includes 2 walk in closets. Bose DVD player included in master suite. 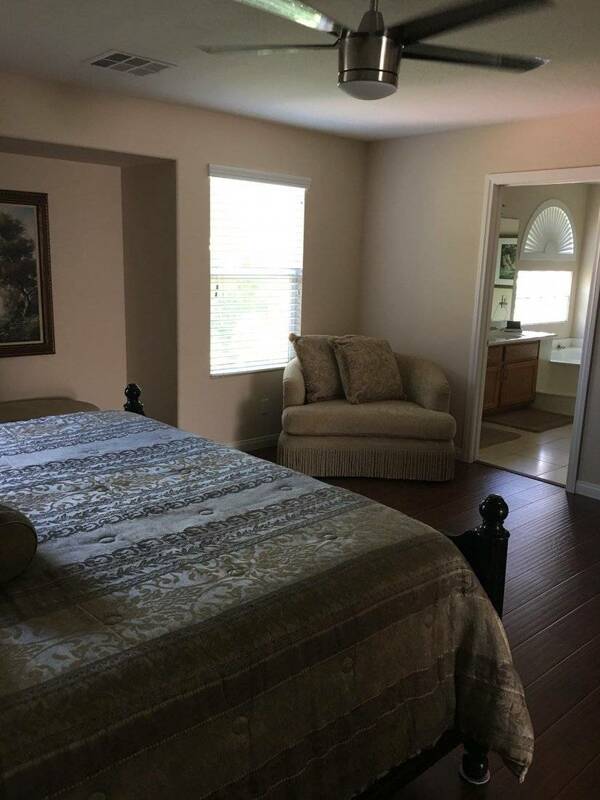 The guest bedroom offers a queen size bed and on suite with tub and shower. The bathroom connects to the office and serves as a jack and jill if you decide to use the office space as a third bedroom. 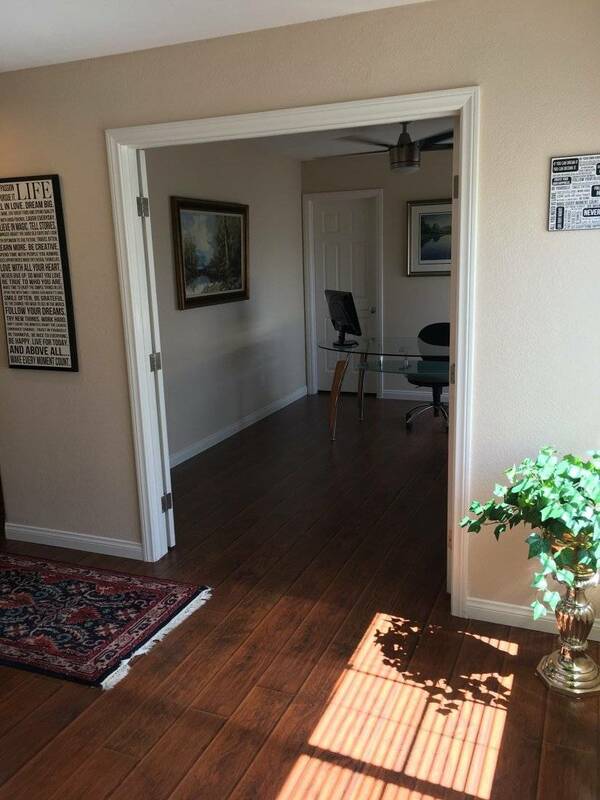 The office is spacious and includes a walk in closet and newly remodeled French doors with smoked glass to give full privacy.